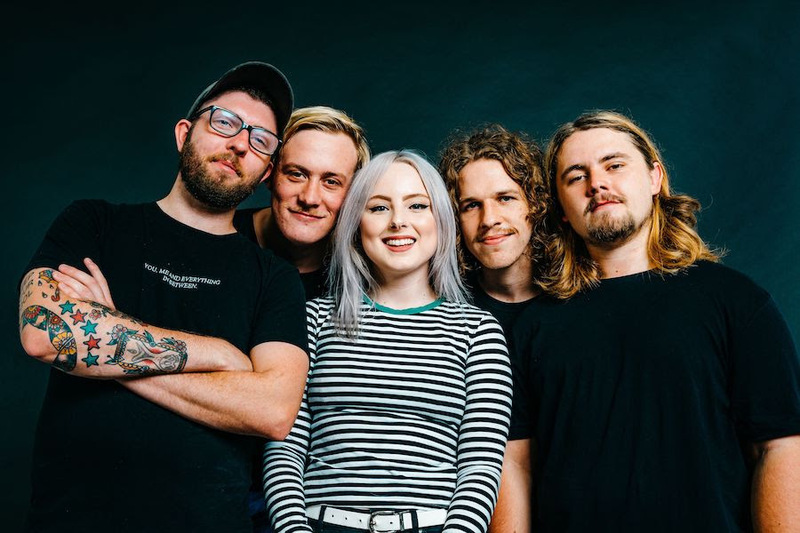 Eat Your Heart Out recently revealed that their debut album ‘Florescence’ will be released via Caroline Australia and Fearless Records on 17 May. The track listing for the record has also now been announced, alongside the artwork for the album. On top of all that, the Australian band have released another new track from the record – ‘Spinning’. Album pre-orders are live now at https://caroline.lnk.to/florescence. The track follows on from the album’s first single ‘Carousel’, for which the carnival-inspired music video was released just the other week. Much of ‘Florescence’ addresses emotional quandaries and the growth that comes along with them. “I felt like I grew up a lot in the last year, in an emotional sense, and I learned how to deal with these kind of experiences in new ways,” says Caitlin. The word ‘florescence’ refers to the act of flowering or blooming and directly relates back to the experiences that informed the record and Caitlin’s own personal journey. Eat Your Heart Out’s debut album ‘Florescence’ will be released on Friday 17 May via Caroline Australia and Fearless Records. Singles “Carousel” and “Spinning” are out now in all good digital stores and streaming outlets. Album pre-orders are live now at https://caroline.lnk.to/florescence.